In failing to meet this condition, SkyFX may have incurred excess operational risk or impaired the company’s ability to monitor and control whether its licensing obligations were being met. 2) € 5,000 fine for failure to comply with article 34 of the Law. 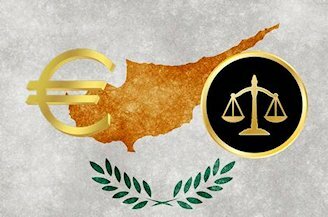 This article requires that the company inform CySEC of any material change to information or details that formed the basis for granting the authorization as a Cypriot Investment Firm. This requirement gives CySEC the opportunity to re-evaluate the information to determine the continued suitability of the company to operate. The changes in question were that SkyFX had outsourced some of the company’s investment services to a third party operating in Israel, as well as marketing activities to a third party. 3) € 5,000 fine for failure to comply with article 36 (1) of the Law. This lengthy article addresses the requirement of the company to act honestly, fairly, professionally, and in the best interests of their clients. CySEC did not specify the exact way in which SkyFX was in noncompliance with this article. However, they did reference that outsourcing services to the third party is the means by which the company was in noncompliance. So is SkyFX a scam forex broker? SkyFX claims on their website that client funds are segregated from the company’s operational funds, and supervised daily.